One of the articles in the Unnecesarean’s series “Defending Ourselves Against Defensive Medicine” was written by a plaintiff’s attorney. The piece, The Necesarean: The Perspective of a Plaintiff’s Birth Trauma Attorney, was rather long and a bit unwieldy, but I took away several important points from it. … Cesareans are not inherently bad. Some Cesareans have benefits and are medically necessary. Every human, including a fetus, needs a constant supply of oxygen. The fetus depends entirely on oxygen that passes through the placenta and umbilical cord. (Think of the fetus as a deep-sea diver, and the placenta as the oxygen tank.) Events which impair the function of the placenta (e.g. placental abruption) and umbilical cord (e.g. cord compression) threaten the oxygen supply necessary for fetal metabolism. Without oxygen, the baby’s brain cells can be injured or die within minutes. Restoring the oxygen lifeline to the baby may require a Cesarean. Sadly, the debate has been clouded by medical literature written to defend birth trauma lawsuits… Some of the misinformation comes from respected sources of medical information… The misinformation usually appears in articles about whether events in labor and delivery cause, or a Cesarean might prevent, fetal oxygen deprivation and resulting cerebral palsy… If there was scientific evidence that events in labor and delivery, and particular fetal asphyxia, did not cause cerebral palsy, that evidence could be used to defend malpractice cases. I don’t doubt that this is true. 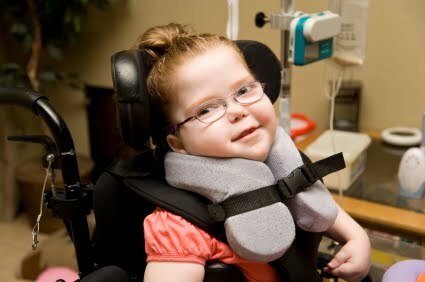 Anoxic brain injury cases rely in large part on portraying the hardship and medical expenses of the brain injured child. But they also rely on scientific evidence. Every trial has dueling medical experts wielding lots of scientific papers. The medical literature provides a great deal of evidence that lack of oxygen in labor leads to brain injuries. Some scientists believe that the brain injuries occur before labor even begins. If that could be shown to be true, it would provide a powerful defense for obstetricians being sued. 4. Cesarean activists seize upon the same (mis)information and use it to make the same case that defense attorneys make. They wield the information in different ways, though. The defense attorney insists that the brain damage had nothing to do with delaying a C-section; the brain damage occurred before labor. Cesarean activists insist that Cesareans don’t prevent brain damage, so it is pointless to do them. The proposition that intrauterine resuscitation must fail before Cesareans are indicated and before surgical teams can be assembled creates an unconscionable risk of fetal asphyxia, injury and death. 6. Defense attorneys and Cesarean activists, each for their own reasons, argue the opposite: there’s no reason to do a C-section until attempts at resuscitation fail completely, the baby’s heart rate becomes extremely slow, and the baby does not recover. … A successful intrauterine resuscitation strongly indicates that the fetus needs oxygen. A successful intrauterine resuscitation is not an “all clear” sign, but a warning sign. It is as clear of a warning sign as nature can give us that the fetus is not getting enough oxygen. If oxygen solves the problem, a lack of oxygen might have caused it. Tilson’s message to Cesarean activists is important. As I understand it, he is saying, first: Beware scientific papers that claim to show that brain damage occurs before labor begins and cannot be prevented by C-section. Rather than representing “proof” that C-sections are unnecessary, they are cynical attempts to get doctors off in malpractice suits. And second: The fact that episodes of abnormal heart rate (fetal distress) may end after oxygen is administered does not mean that those episodes can be ignored. They are warning signs that the baby is not getting enough oxygen and is depleting its own reserves. The baby is not “fine,” it is “hanging on” and needs to be rescued by C-section before things get worse.